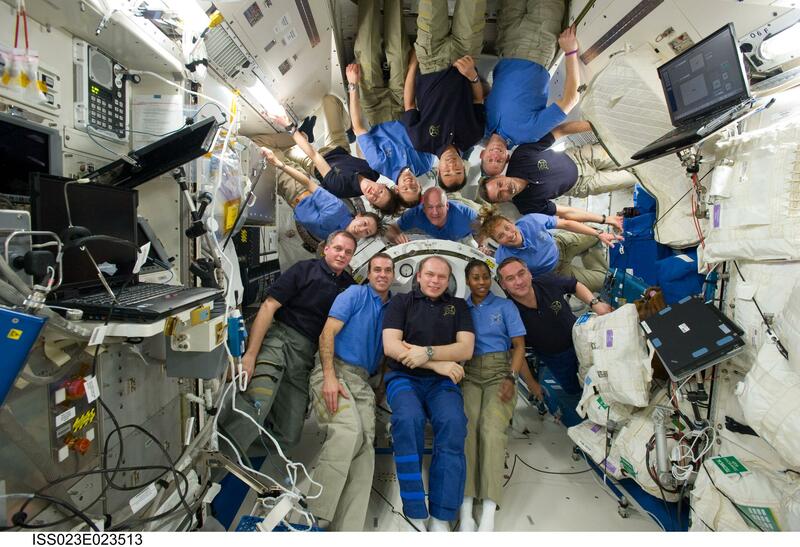 Why do ISS crew members often cross their arms? I am watching live stream from ISS to follow the return of two ISS crew members, Thomas Pesquet and Oleg Novitskiy. Why do they cross their arms like that? Is that a standard procedure to not touch anything by accident? It's about as standard procedure as crossing your legs when you're sitting. Arms in microgravity, without conscious effort to keep them by your body, will tend to extend the elbows to the sides - just like holding knees together when sitting, at least for men, requires active (if minor) effort. Holding arms like this simply prevents sticking elbows into the person next-to, and takes less effort than actively squeezing them along your body. people keeping arms along their body, do this consciously - you can see the positions are forced. Others are either spreading their elbows, or holding their arms. 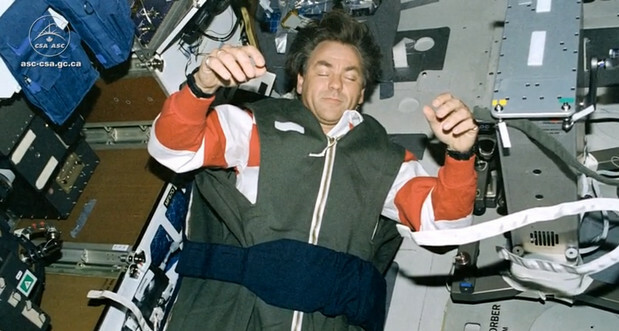 This shows the fully relaxed arm position obtained by a sleeping astronaut. For many astronauts, it is simply a matter of being considerate to your fellow astronaut who is appearing alongside you. It would not be nice to let your arm drift into contact with the other astronaut - astronauts have "personal space'" too. Plus, I think we'd all agree that Earth-bound humans by and large think the natural position that arms want to attain in microgravity conditions looks "sort of dumb." There is no special procedure there - just microgravity. Note that the one on the left looks like a normal relaxed pose, with his arms dropped down as they would be on Earth. The other two do look a little "unnatural", but if you ignore their arms being pointed forward, it is exactly the same pose, and just as comfortable with no gravity pulling their arms down. Not the answer you're looking for? Browse other questions tagged iss crewed-spaceflight procedure or ask your own question. How often are ISS computers (MDMs) replaced? What are the procedures aboard the ISS in the eventuality of a loss of a crew member? Have any animals that have been studied onboard the ISS come back alive? What options exist for crew transfers to the ISS? Why do ISS astronauts use lower quality microphones for official radio communication than for PR events? How would civilians send snacks to the ISS crew? 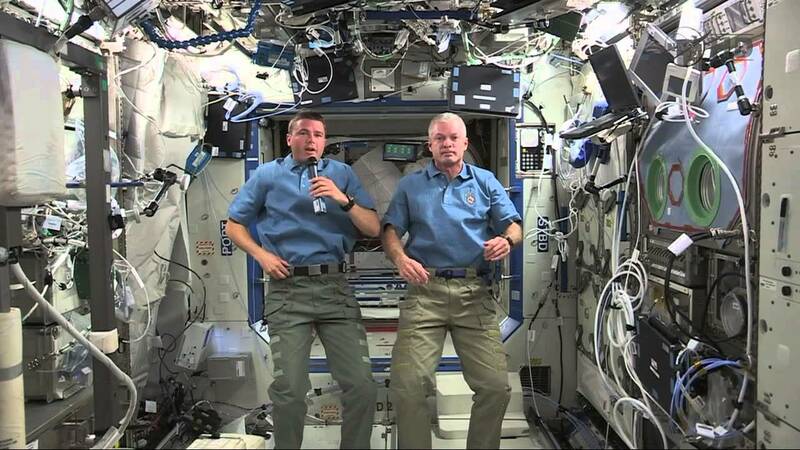 Does ISS crew exercise time count toward their X hour work week? How often has the ISS been physically vacant (un-manned)? Would Luna 15 have been visible to any of the members of the Apollo 11 crew? Do ISS astronauts notice, or experience symptoms of elevated CO2 levels? Do they wear monitors regularly?